I have discovered, through trial and error (well, mostly just error) that for the health and safety of my family and myself, there are two things I cannot do without in the mornings. Take away Item One - as I discovered this morning, quite noticeably - and I am Grumpy Snappy Mummy. Silly really. Perhaps this morning it was my extra need for a caffeine dose after having a very broken night's sleep. Take away Item Two and I am again Grumpy Snappy Mummy, but in a more fundamental way. Going to the Source of Life at the start of a day that is always so filled with life is the only way for me to have a good day. 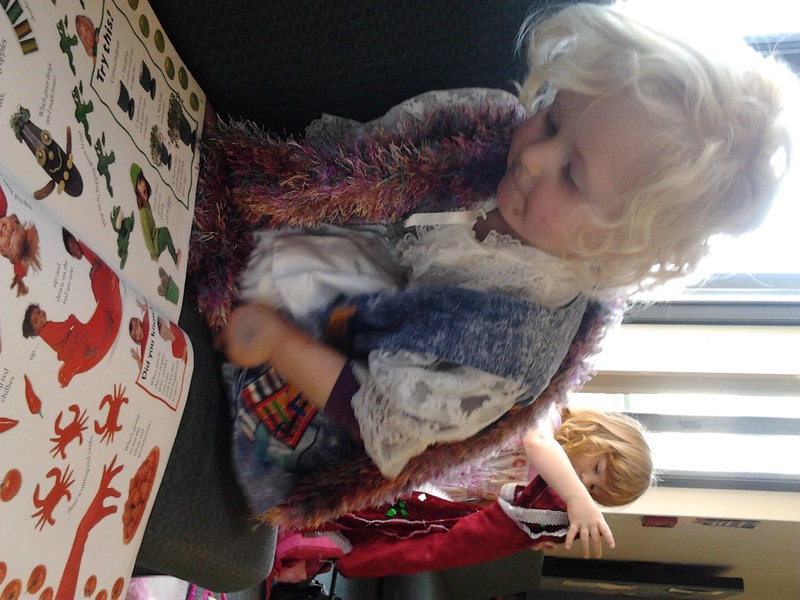 These preschool days are so intense that I actually can't do it alone. I know this because I've tried. Can I save you the heartache of days where you shout at your beloved children and just tell you to make time for God in your day? It seems so simple, doesn't it? Trust me, I know it's not always, but I also know now that NOTHING is more important - for me, for my husband, for my children, for my soul - than making this quiet time happen. It might be that the first and most fervent prayer I offer in the morning is, 'Lord, please help me to get out of bed,' but that's a great start. Recognising that it ain't gonna get done without Him! My mornings lately have been a bit shoddy and lacking. What do you say we do this together? I'll encourage you and you encourage me. It's worth it. Promise. Guys, I am so blessed. This stay at home Mum-ing gig is the toughest, most intense and long-lasting thing I've ever done - doing! - but my goodness is it amazing! It's too easy to focus on what's been going wrong lately, so today I'm sharing what's been going right - because there actually is a lot! It had been a long, dark winter full of sniffles, struggles, snot and general stuck-inside-ness, so now that the sun's back (most of the time!) we've got our groove back. And it's SO GOOD! What a blessing it is to be able to be here for our kids, to know them and watch them grow, to see what makes them tick, what they enjoy, where they need help, to teach them about the Lord who loved us first so that we can love Him too. What a blessing it is to have really, really great friends who are doing the same. We've been having some fabulous times lately. 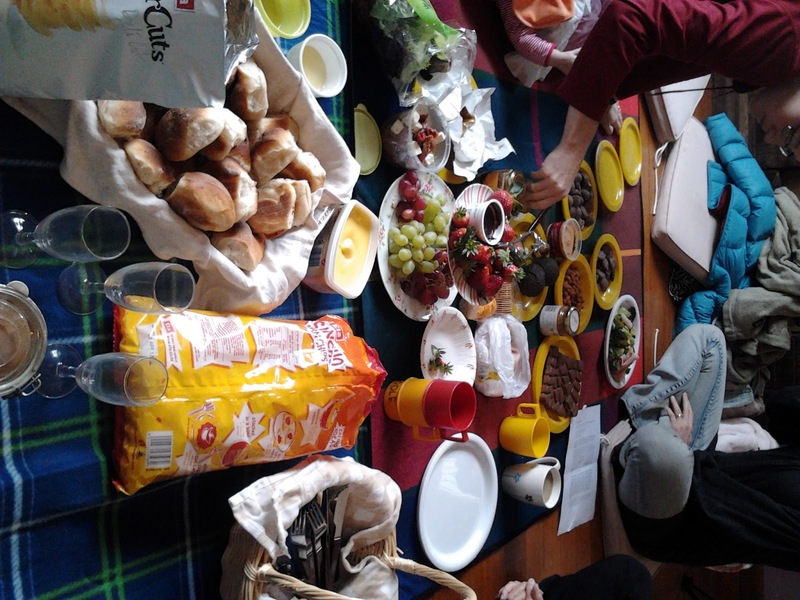 Picnics with friends after Ladies Bible Study on a Wednesday. Trips in the "big blue car" with Papa to look at diggers and holes at the end of the driveway. Soccer on the back lawn. Being a Mum (or a Dad! But I know less about that...) is certainly challenging. But the rewards will always far outweigh the hard times. FAR outweigh. I really am truly blessed more than I could ever have imagined for myself. 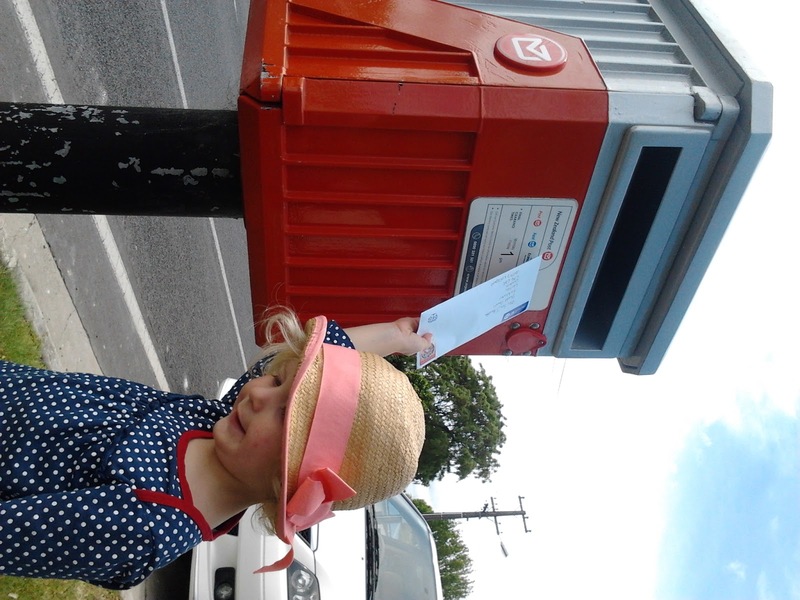 Pots of money has never been something that could describe our back pockets, particularly as we begin to contemplate sending our first child off to a private Christian school next year! I'm looking forward to giving our kids handmade presents this year. I know what they like to play with (funny that, as I'm their mother! ), and I've chosen something that I know (really hope!) they'll get lots of enjoyment out of. They are still young enough and lovely enough that even only one present is a big treat! 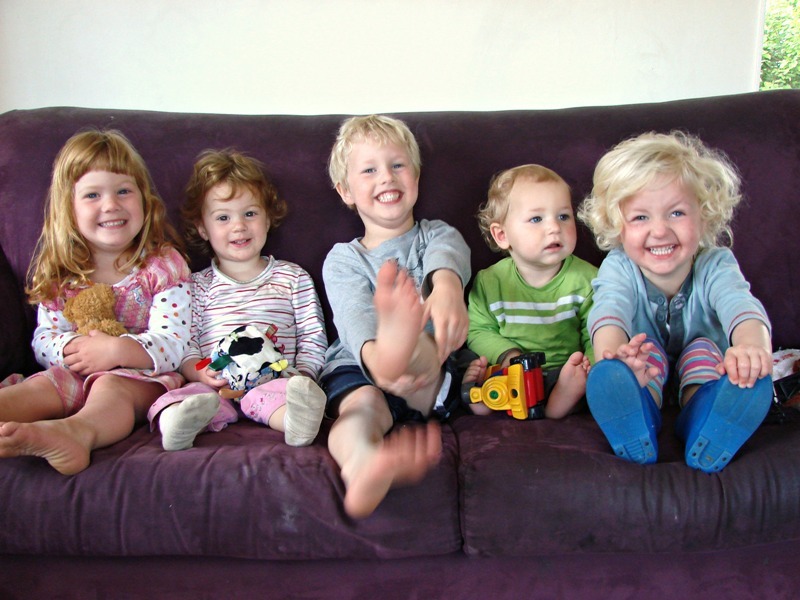 Anyway, they won't only be getting one present - that's what grandparents and aunties are for! Elliot has been adamant that he would like a 'croncrete mixer', rubbish truck and 'hydwaulic crane' - none of which I can make! So a phone call from me in Toyworld to a grandparent was all we needed to make that happen! I'm excited for Elliot. Rosie will be getting some more 'baby animals' (Littlest Pet Shop toys) from her Aunty Sarah. 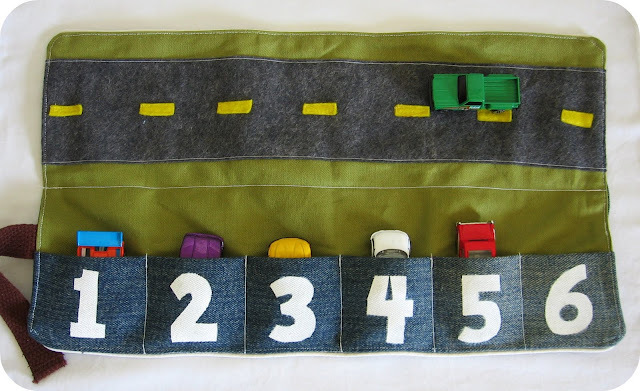 I have decided to make a Car Caddy for Elliot (tutorial from Homemade by Jill). And a family of hippos (her most favourite animal ever!) for Rosie, using this pattern. Did I mention that I'm pretty excited?! The only thing is, I can't think what to do for Tristan! 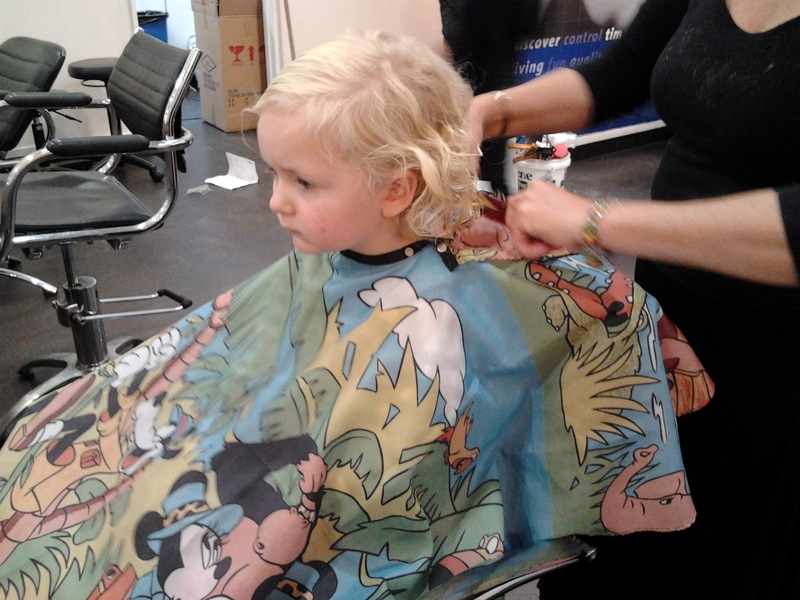 What do you get for a just-over-1-year-old-third-child? I don't want more stuff, really, and he's too little for any particular obsession with anything - including his brother's Hot Wheels wall track, which he LOVES! Any ideas? Christmas in our house isn't actually about presents anyway. Not totally. We give presents to each other in memory of the greatest gift we ourselves have received: a Saviour, born to us that Christmas morn so long ago. It is important to us that what our children know about Christmas is not "presents!" but that "Baby Jesus was born in a stable." In light of that, we intend to do a Jesse Tree this year. Rather than a chocolate a day (which would be nice!) a Jesse Tree is an advent celebration that walks your children through the story of the Bible, day by day. "Then this is what you need: you need a Jesse Tree. A tree with roots deep intothe past, that finger right out through the stories of the Old Testament, back to the very beginning, and with branches that stretch so high and wide you can see the whole grand panorama of God’s story from the very first blink of the first star over Eden to the blinding light over Bethlehem." Ann's words are beautiful, and I think it's going to be wonderful to do this together this year. I think I'll print out two of each decoration though - Little Mister and Miss both like to be the ones who get to do the important jobs, like hanging things on trees! I did say I'm excited, didn't I? Those were my first thoughts as I headed out of our driveway and onto the road. Freeeeeeeeeeeeeedom! Not from my house or children (or husband!) because I love them dearly, but just so free! Not enclosed or buckled in, space around me, wind in my face. Because I was on my bike. 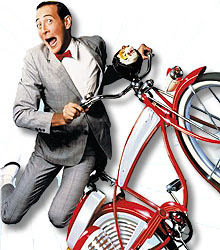 Yes, my bike! It's been time for a long time to do something about this shape I'm in. Yes, round is a shape. Just not one I want to be. Svelte. Hourglass. Curvaceous. Those are shapes I want to be. This Christmas will see us as the brand new owners of a bike trailer (to tow two of the kiddies) so that I can begin to integrate cycling for exercise into my week. I'm pretty excited! I'm using the time between now and January (when Rosie starts at Montessori) to get back into the habit of riding. In fact, I've just come back from the best ride yet! It's my third ride so far, and the longest one - yay! Previously, I'd just been doing a couple of blocks and coming home again. But who am I kidding? God has given me a strong, healthy body! Sure, it's not at a great fitness level right now, but if I don't push it, it never will be! So I rode further today - to Montessori and back. But you know what? I'm excited for tomorrow when I'll do it again! I've had this little tutorial up my sleeve for a while now, just waiting for the right opportunity. Last week, two of my very bestest friends came over for the evening and I roped them in to taking the photos for me, since it's very hard to take photos of your own two hands! With summer coming up (for those of us in the Southern Hemisphere, anyway! ), I've been thinking of ways I'd like to 'dress up' our deck to be a bit festive and lovely for when all those BBQ's in the sun and warm evening chats begin! First up: Cut 2 pieces of wire, 28cm long (or the length to want your handle to be). Hold them together and make a bend 3cm in from each end. You'll end up with a rainbow shape, with flicks. 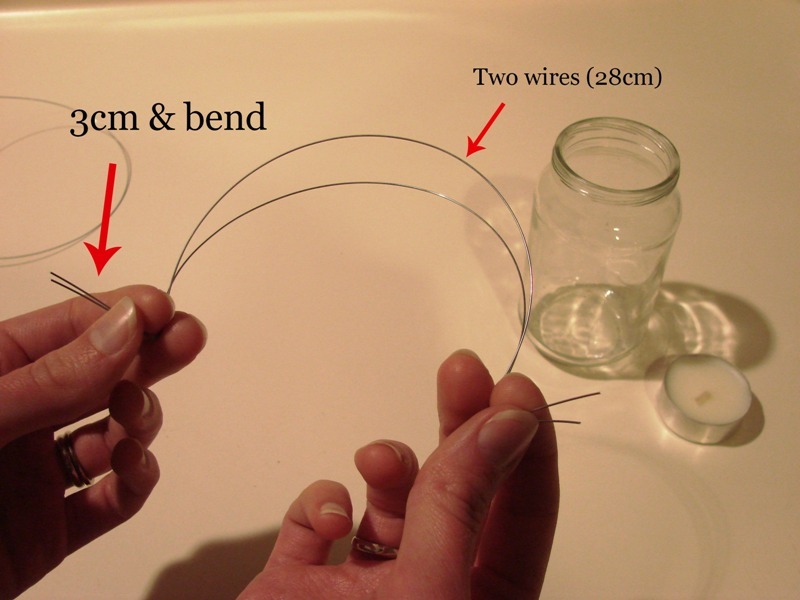 Then, cut 1 piece of wire, 40cm long (longer if your jar neck is wider than 5cm), and make a small bend 3cm in from one end. This is the piece that will wrap around the neck of the jar. Take a hold of your handle piece and your jar neck piece and place them together at the 3cm bends. Wrap the wire of the jar neck piece UP the handle piece. ...Then use your needle-nose pliers (or jewellery pliers) to bend the sharp end in close. The next part is fiddly. 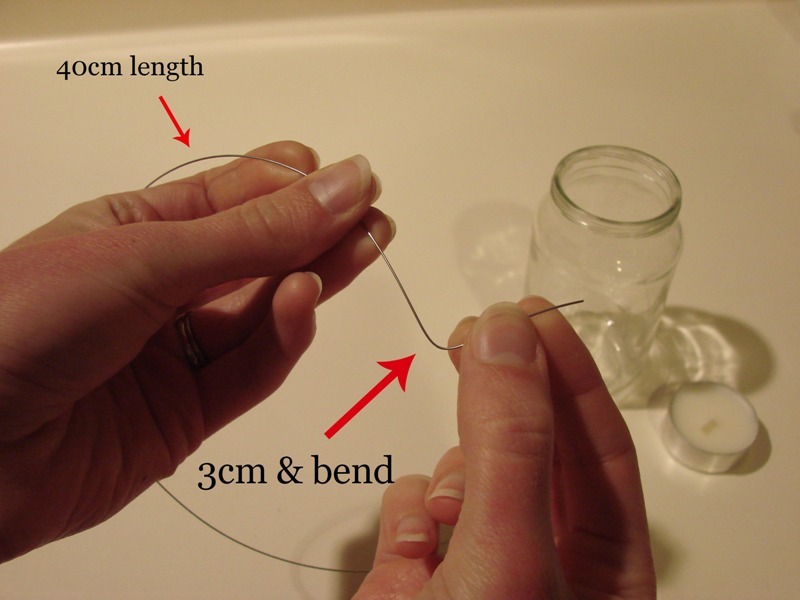 Holding the two ends of your handle wires in place with one hand, use the other to wrap the jar neck piece TWICE around the neck of your jar, meeting at the same side of the handle already wired on. (This is important!) Be sure that the as-yet-unwired side of the handle goes UNDER the jar neck wire. 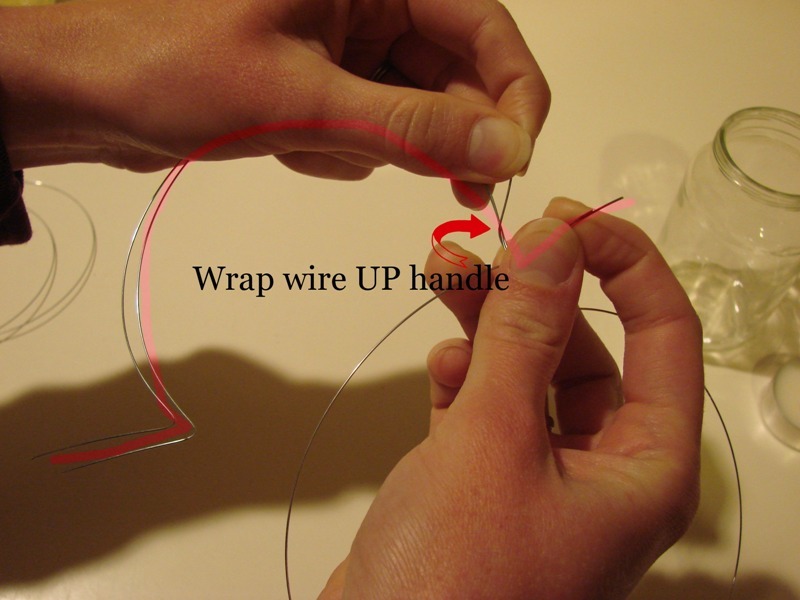 Pull it as tight as you can, then wrap the leftover wire up around the handle piece. Remember, it is the same side as you wired before. Trim excess and bend in the sharp end as above. I don't have a photo of this part, but now take the 3cm bottom of the handle (you can see it sticking out in the photo above) and wrap it up and around itself. Now wrap the other side of the handle up and around too. Trim and bend the sharp end in close. 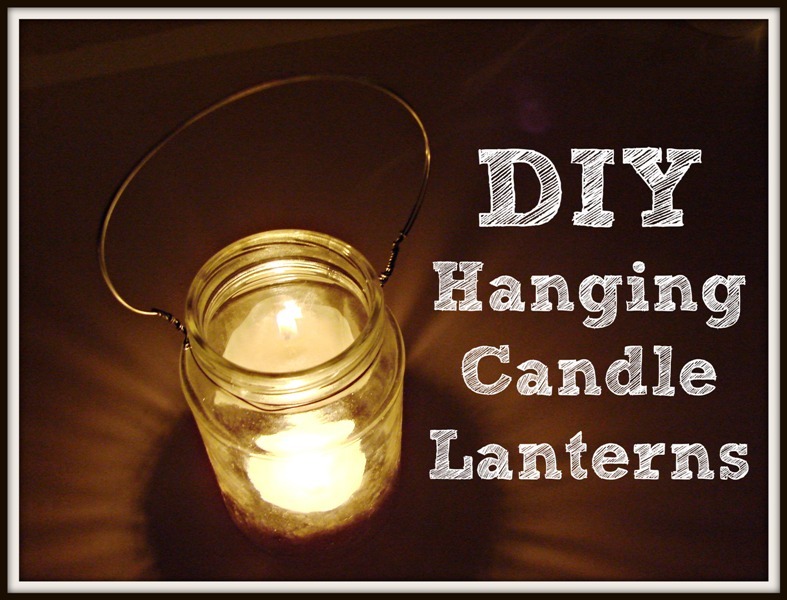 Lastly, drop your candle in the top - get it the right way up! - and you're done! Light your candle, and you're ready to go. I've made a bunch and I'm going to hang them with a wee nail onto the pergola that covers our deck. Do the instructions make sense? Please leave me a comment if anything is unclear and I'll do my best to help you figure it out! Keep your eyes peeled for a DIY outdoor bunting tutorial coming up. Next step? 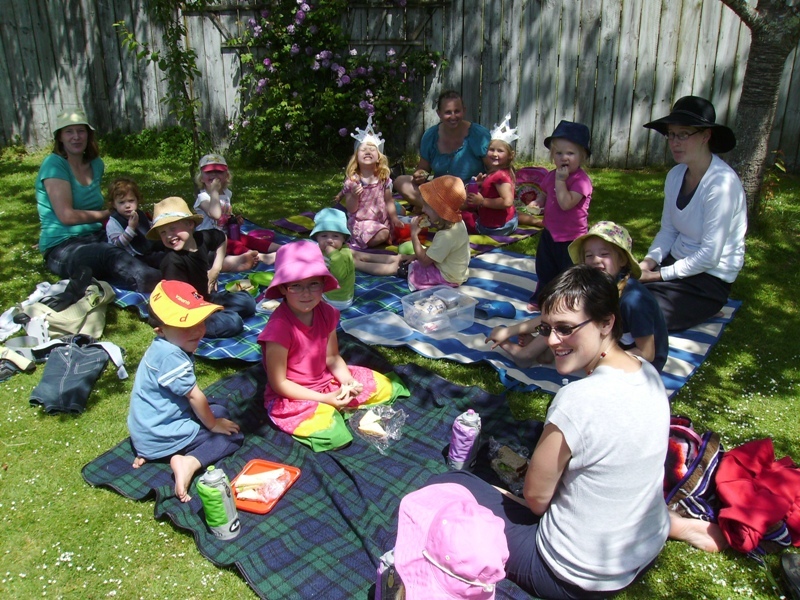 Wait for some long, sunny evenings (dry ones, not rainy like today), crank up the BBQ and invite some people over! PS: Don't forget to enter my giveaway - it closes tomorrow! UPDATE: Giveaway now closed. What a beautiful, wonderful day it's been today! The sun chased those morning clouds away, Bible study this morning was lovely - as always, and the whole day has been filled with good friends - both the kids and mine! While my dear friend Renee was here (actually still is here, as I type! ), I asked her if she wouldn't mind taking my Wardrobe Wednesday pictures. 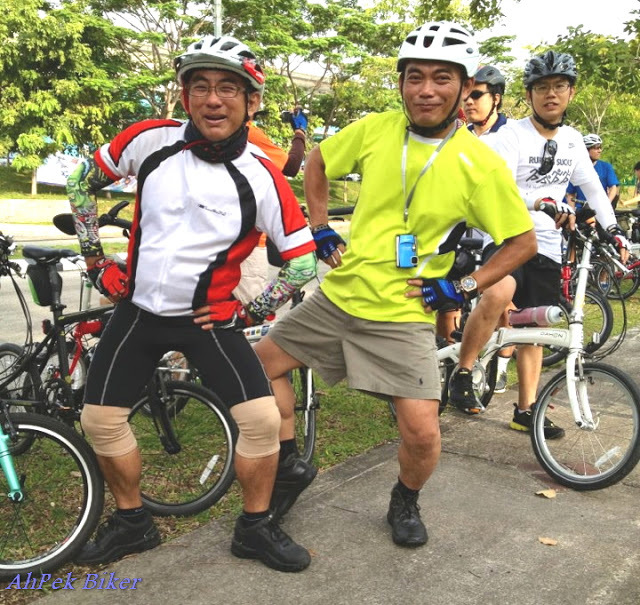 Aside from feeling a tad silly posing for your friend, it's much easier than using the self-timer! Renee is one of my oldest and dearest friends. We have been through a lot together, and certainly know enough about to each other to fill a few books! When I sat down to write my WW post today, my words wouldn't come. I need mental space to think what to write and there was just too much going on! Then Renee said, "Let me write it!" Meet my beautiful friend Jess. I love love love this cardi, it gathers in just the right places to hang great - And Jess looks gorgeous in grey. And being the fabric that it is, it wears so easily too. It's a little hard to spot but this cotton shirt is amazing, I love the little details, pin tucks and pleats and buttons, and that lovely crispness that cotton has that reminds me of childhood and my Oma starching my Sunday blouse. Starching? I'm sure Jess doesn't starch, but it still has the reminiscent crispness to make me go oooh! I love Jess's hair. It always looks great, and I love that she can wear hair bands! Pink and grey is one of my favourite colour combinations and it's perfect for Jess' colouring, the polka dots are so sweet. The shoes... Jess has a thing for shoes and these are no exception, cute and comfy flats. So sweet but great for chasing little ones. Jess makes practicality look this good! Jealous? me?... yes... we'll no, but definitely admiration. Yeah Jess wears great stuff - we wouldn't be here if she's didn't would we, but it's more than that, so much more. Jess' beauty is more than skin deep, it's in the way she walks, the way she smiles, the way she talks to her kids, the way she encourages. Jess always has a kind word to say, a way to look at the positive and lift your spirits. Jess always has time for everyone, I'm surprised she has any left for herself! Jess loves her kids deeply and seriously, I mean, she's a proper full-time professional Mum, a that's-my-job kind of Mum, I'll-be-there-no-matter-what kind of Mum, a give-till-it-hurts kind of Mum..
She loves her husband, she loves her family, she loves her friends... She's a people person, and she loves in practical ways, helping, caring, listening, always sensitive to others needs. And she loves the Lord, Her God, devotedly, adoringly, humbly and passionately with a true desire to know Him more - I admire that so much! She's smart and creative, enthusiastic and energetic. And she's my friend, I'm so blessed to know her, She teaches me lot's and I've still got lot's to learn. True beauty comes from within, its not a look or a style, or a number or an age, it's grace, and that's Jess, a gentle and quite spirit - and oh-so-deliciously wonderful! I love you Jess! I'm so glad you're in my life!" (It's Jess again.) Wow. How's that for an amazing friend? Renee, you are too much. My goodness, I am 1000 times blessed to have the most amazing friends!! Wow. While you're here, don't forget to enter my giveaway! UPDATE: Giveaway now closed. On Saturday it was two years since I wrote my first blog post. Two years since I started recording our lives and activities here. Two years that I've been carving out this little space in my wee corner of the inter-web. It feels much longer, and much shorter at the same time. I've just been reading through some of my earliest posts... Please don't go there. I'm a little embarrassed. My writing sure has come a long way in two years. I had a wonderful long telephone chat with a very good friend of mine last night and her insightful comment was, "You seem to have found your voice." I think that's true, thanks Paula! We also talked about why I blog. She asked me why I chose blogging over something like writing in a journal. For me, partly it's to record our lives - where we are, when we are, particularly in this fleeting pre-school period - in a visual way. Partly it's because I enjoy being part of a community; not blogging to receive comments (though they sure are nice! ), but instead to support and encourage one another and have a dialogue. The other thing that's really important to me is about portraying Motherhood in an honest way. It is the most important thing I will ever do with my life. It is the hardest thing I will ever do in my life. It's easy to see the second one, not always easy to remember the first. I found adjusting to being "Mummy" really difficult at first, and I think that if someone had said to me, "It's okay to feel the way you do. It takes time to settle to this. Nobody has it all together. You are normal. ", then I think I would have found my journey to be different. So it's important to me - not to share all the gory details of wiping bums and cleaning spew or intimate details of our children's psyches - but to share the ups and downs and NORMAL things of life with small children. I don't ever want to be one of those bloggers who has a perfect life because that's not real! Frankly, it's just depressing. Will you tell me if I start to sound like one? Thanks. The other reason (and I'm sure it won't be my last, as I carry on my merry blogging way) I enjoy having my blog is because I've found a good outlet for myself in writing. In real life, I struggle to articulate myself and, in trying to explain either myself or a concept, end up sounding like a jibbering jabbering mess who has no idea what she's saying. But when I sit down to write, I can take my time, think about my words before I type them, delete and re-write if it doesn't sound right (that would be useful in a conversation, right? ), consider my thoughts and take time to understand them so I can write them out. I like that. It's a side to blogging that has been like an added, unexpected bonus. 2 years isn't really a very long time, but when I look at my children and see how much they've grown I wonder where it's all gone! I've never understood the saying "Time flies," quite so much as I understand it now while watching my children grow before my very eyes. 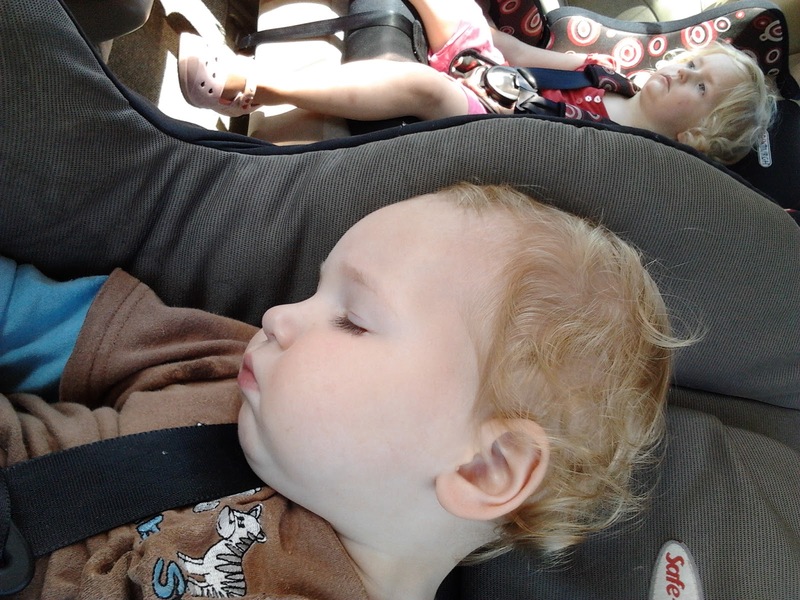 These were our kids when I started blogging: Elliot, nearly 2.5 years, and Rosie, 10 months. Aren't Hayden and I so blessed?! And now that I've just been looking at these photos of my beauties, the other things I wanted to say have just flown out the window! So apart from saying that, really, I'm immensely grateful for this blogging journey so far, the friends I've met, the way I've grown and the way my husband doesn't roll his eyes TOO much any more when I say that I'm blogging, let's get onto my GIVEAWAY! The winner will get to make their choice between the canvas or the doll and I will fully consult with you to make it a completely customised piece with your choice of colours, accessories and embellishments. Or, I can make it a complete surprise! Up to you. 1) Leave a comment below. (You can choose 'Anonymous' in the drop down menu so you don't have to sign up for a Google account. Just be sure to leave your name and/or email so I know who you are! Let me know via FB if you have trouble. 2) For extra entries, share this post on your choice of platform - FB, blog, Twitter etc (I don't know anything about Twitter actually, so whatever!) - and leave an extra comment here for each share. Please make sure I can contact you either via your blog or through email. I'd hate for you to win and then me not to be able to tell you! Winner will be drawn by random lot at 2pm on Tuesday, 13th November. Exciting! ***And the winner is... Catrien! "Congratulations on 2 years! 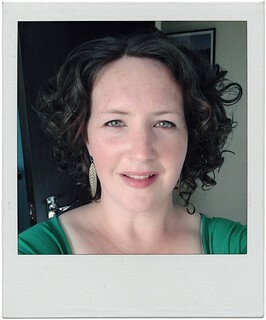 Your blog is an absolute highlight for me :) I love your 'honest mothering', such an encouragement! And naturally I adore anyone creative! Looking forward to many more posts!" Congratulations Catrien! Catrien is a friend of mine from way back when, one of those friends you make through other friends, you know? She is the yummy Mummy of three little lovelies - a singleton and a set of twins - and taught herself how to knit and crochet. Amazing, right? I'll get in touch with you Catrien and we'll suss out the details of your prize! Yay, I'm excited!